VICTORIA, British Columbia — NASA’s top official came to Canada to make his pitch for the country to become involved in a U.S.-lead lunar space mission but that direct appeal didn’t budge Canadian government officials, at least for now. Bridenstine noted that Canada could provide a new Canadarm for the Gateway project as well as other robotics systems. 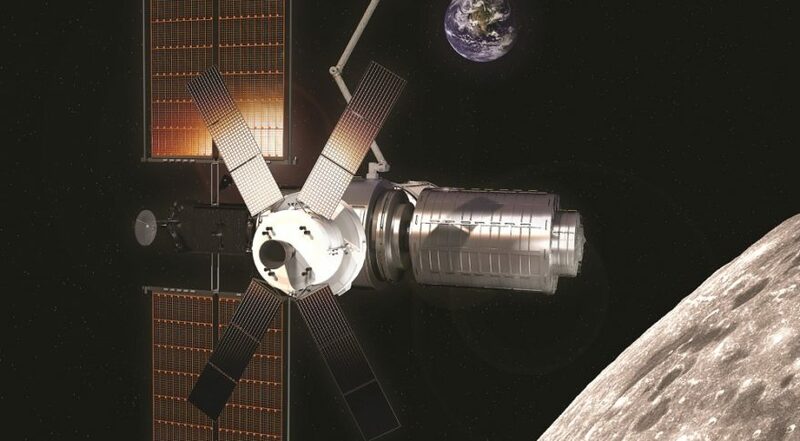 Some in the country’s aerospace industry had thought Bridenstine’s trip to Canada, combined with news that Innovation and Science Minister Navdeep Bains would make a space funding announcement, would be the signal for the long-awaited commitment by the Canadian government to the U.S.-led Lunar Orbital Platform-Gateway project. But Bains said Canada has not yet decided on the Gateway and is still examining the project. His announcement, which came Nov. 15, turned out to be the Canadian government’s decision to award 13 million Canadian dollars ($9.8 million) in funding for NorthStar Earth and Space Inc. of Montreal. The startup company is working on improving imagery from low Earth orbit satellites as well as providing a space situational awareness service. In September, a coalition of Canadian space firms and researchers banded together to launch a new initiative to put pressure on the Canadian government to sign on to theGateway, a human-tended facility in orbit around the moon program, was well as release a new space strategy for the country. The group behind the campaign included more than 20 organizations and companies such as MDA, Honeywell, the Canadian Astronomical Society, the Aerospace Industries Association of Canada, the Canadian Space Society, IMP Aerospace and Magellan Aerospace. Bains said in May he expected the federal government’s space strategy to be released in the “coming months.” At the time, the release was already a year behind schedule. But Bains told journalists at the Canadian Aerospace Summit on Nov.14 that the Canadian government now hopes to release the space plan by the end of next year. Bridenstine previously met with Canadian Space Agency President Sylvain Laporte Sept. 6 at NASA headquarters to discuss cooperation between the two agencies as well as a potential role for Canada on the Gateway.